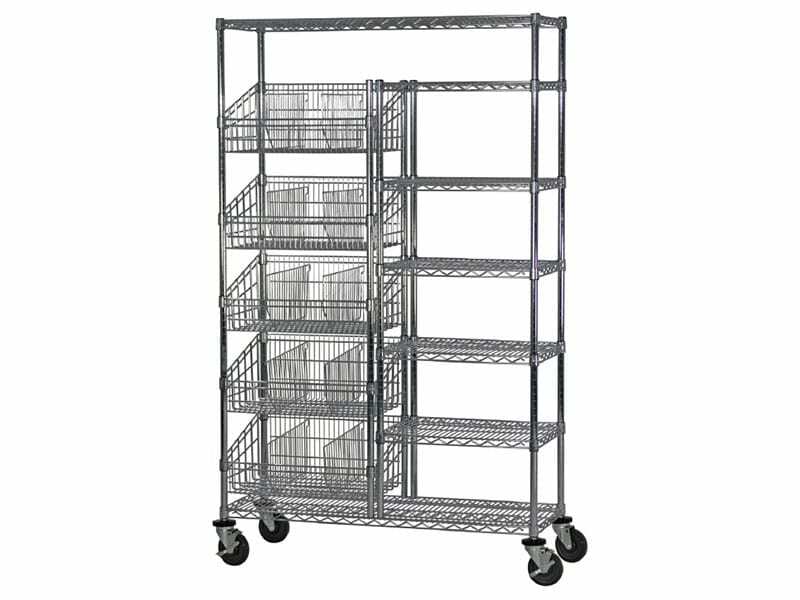 SmartCell™ by Technibilt is designed to allow easy identification of materials using open wire storage racks. 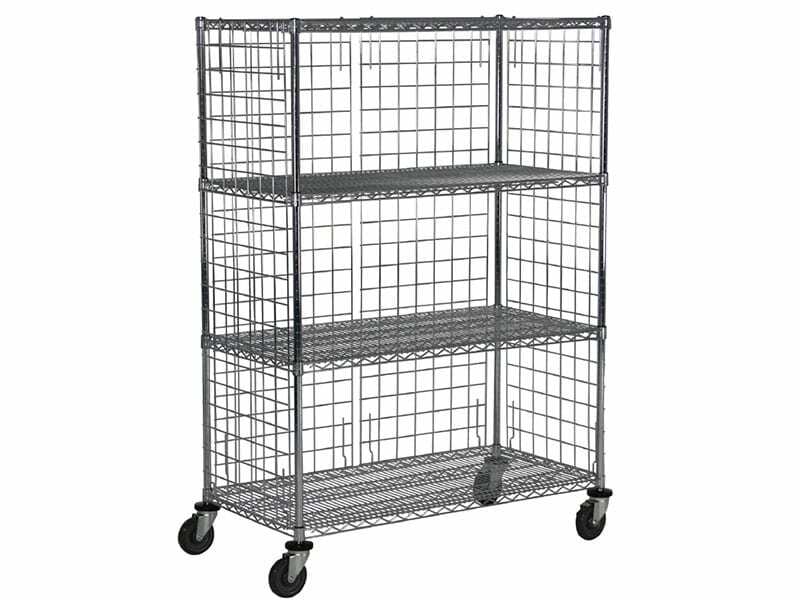 Our wire shelving systems are easily adjustable, creating efficiency for both nursing and materials management staff. 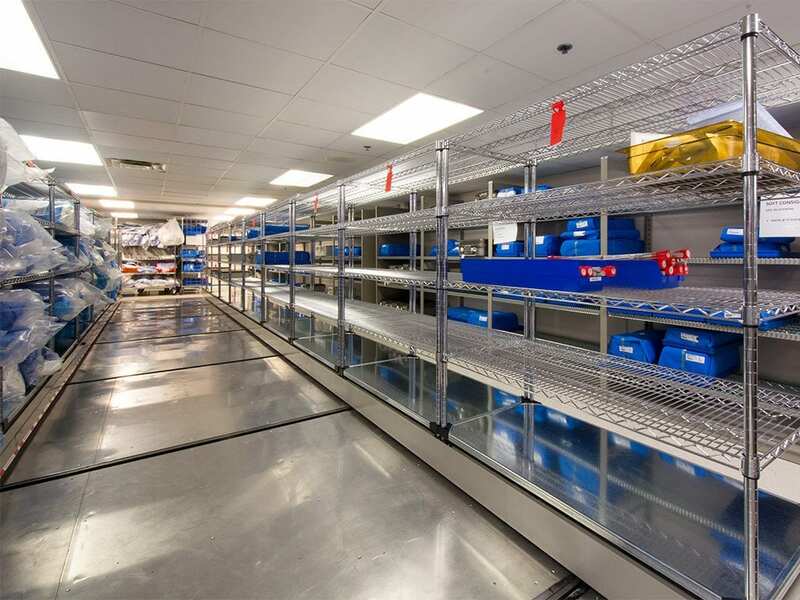 Bradford Systems healthcare storage specialists understand the needs of hospital facilities for space efficiency and specialized storage solutions. 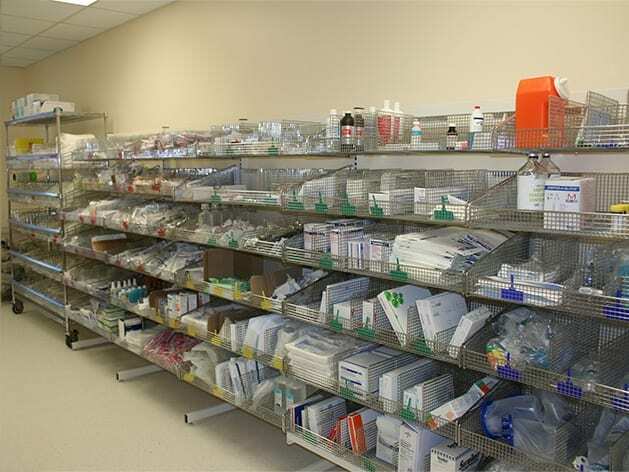 Our team has the knowledge and experience to determine your requirements and design a tailored wire rack storage system to organize medical supplies and enhance productivity. 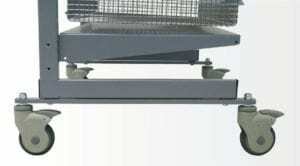 Med-glide Plus casters resist oxidation and rust due to their fiber reinforced plastic structure. 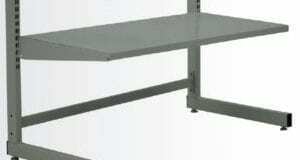 They require no maintenance for optimum performance and reliability. 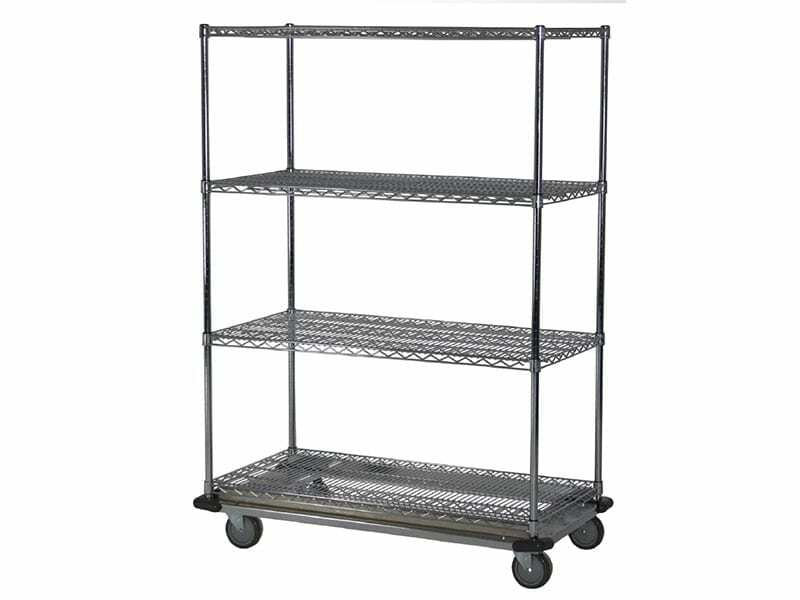 The basket connects to each upright, providing added security and extra weigh capacity over traditional systems. 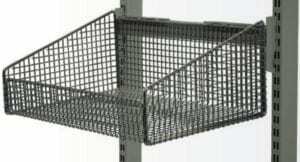 Baskets have medical grade nickel chrome finish. 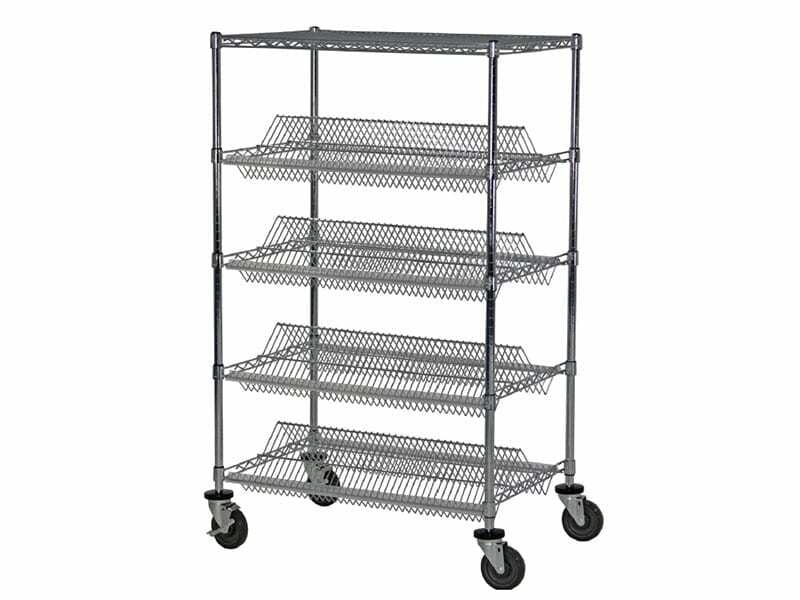 Designed for quick and easy accessibility. 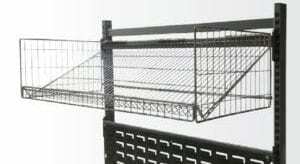 Wire end panel maintains product while the slanted shelf allows for gravity feed. 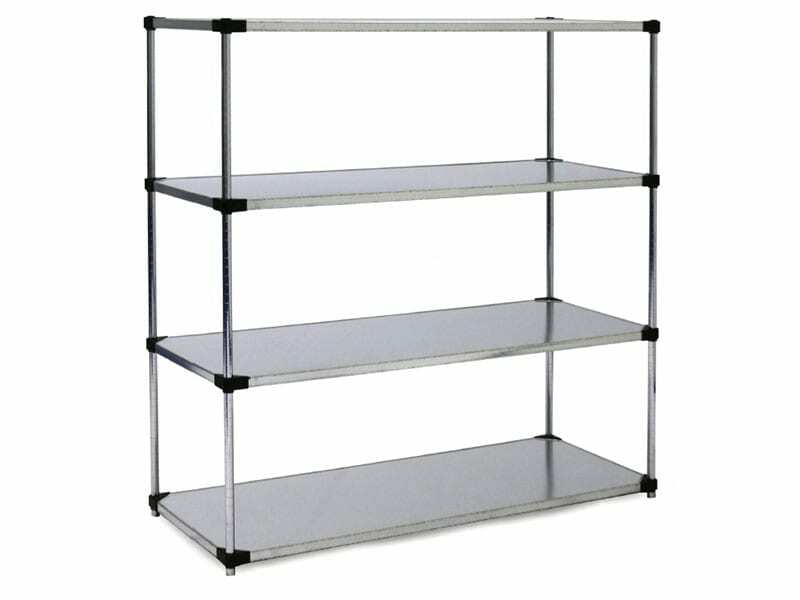 Solid shelves are constructed from powder coated steel and feature turn-down edges to provide additional rigidity. 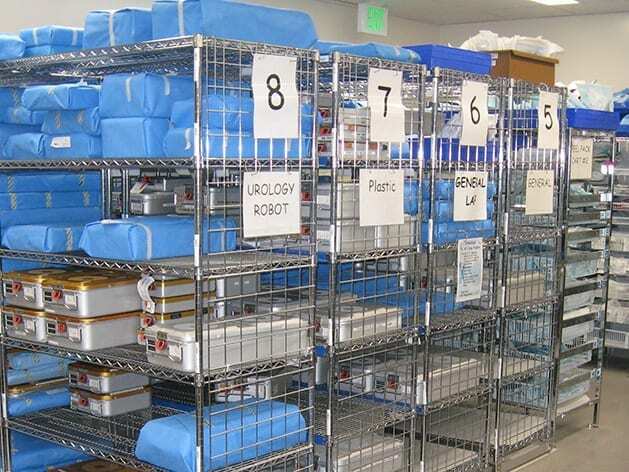 Our medical storage experts hand-picked Technibilt Healthcare Storage Solutions for three reasons—their products save time, money, and space. 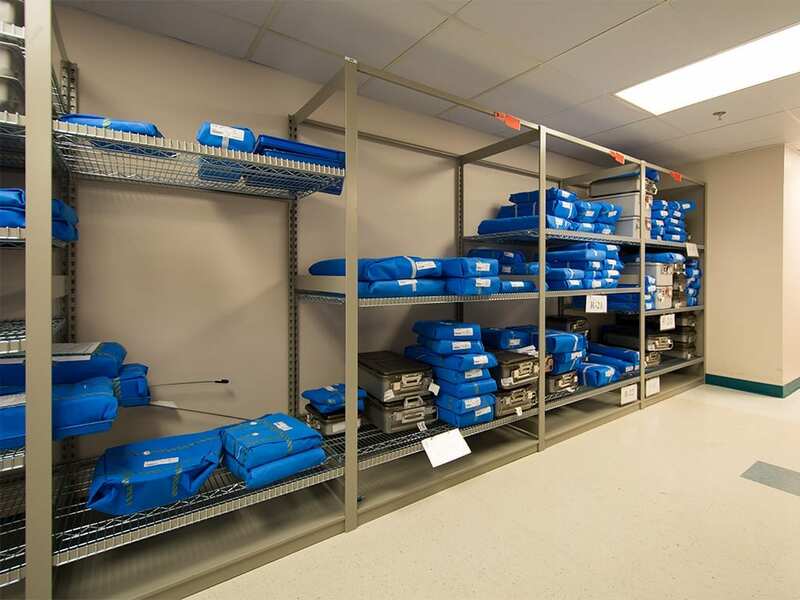 Using the ideal storage configuration to match your organization’s needs reduces capital expenditures, maximizes your physical space, and create process improvements for your nursing and materials management staff. At Bradford Systems, our team is ready to help you during all phases of your project—planning, purchasing, and installation. Whether it’s a single department needing to upgrade, existing products in need of service, or a new construction project, our team is here to help. 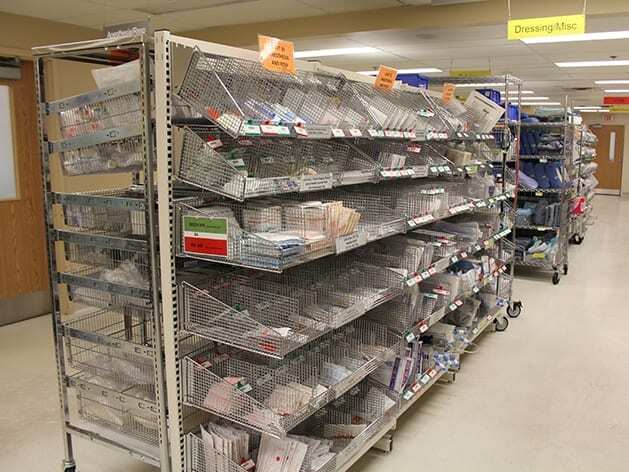 Looking to transform your healthcare facility? Contact us today for a free space assessment.